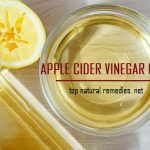 While conventional folk wisdom has maintained for a long time now that apple cider vinegar was good for those who are wanting to trim off excess weight, there was not much scientific evidence to back this up and it remained something of an old wives’ tale. 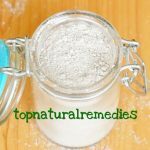 However, medical evidence has recently come to light that is supporting what many whole health practitioners long have known about this natural weight loss aid. Recent publications in peer-reviewed journals like The Journal of Functional Foods and the Annals of Nutrition and Metabolism have published papers that, though written independently, came to similar conclusions about the effects of apple cider vinegar on the body. In one study from Arizona State University, participants who drank a mixture of the vinegar and water had lowering blood sugar levels before their meals than did the control group. Researchers believe that the vinegar may have an effect on the way the body digests starch and thus keep the blood sugars on a more even keel, which could have a long-term positive effect on body weight. This is supported by a Japanese study which found that daily use of apple cider vinegar was linked to a reduced body weight and body mass index, as well as a smaller waist circumference and lower triglyceride levels in the blood. While some in the medical community remain wary of recommending this therapy to their patients, there are plenty of people who are willing to give it a try to help them achieve their weight loss goals. Choosing a vinegar with around a 5% acidity is the best way to go, and it can be apple cider vinegar or other vinegar like those made from wine. 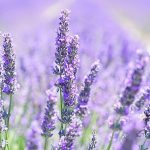 While too much of this can irritate the stomach, most practitioners recommend a dose of one tablespoon diluted in 8 ounces of water. If drinking vinegar sounds like it might be too much, it is also possible to simply use it over salads; the health benefits like vitamins, minerals and other nutrients will still be available. Also, it is important to be patient with this therapy and not see it as a free pass to eat without restrictions. This is a long-term therapy and many who try it will not see its benefits for at least 3 or 4 months from the start of therapy. So, while apple cider vinegar is not a silver bullet for weight loss and needs to be combined with a balanced diet and exercise, recent research certainly has indicated that it can be of use to those who are trying to achieve an optimum weight and it has certainly been proven to also be beneficial for lowering blood sugar and triglyceride levels, both of which are important for long-term health.